We are committed to connecting you with providers who are suited with your practice and community. Thank you for your interest in working with us! As Colorado’s leading non-profit recruitment and retention service for rural and urban underserved areas, Colorado Provider Recruitment (CPR) is locally based and has long-standing relationships with hospitals and clinics as well as health professional training programs throughout the state. Since its inception over a decade ago, CPR has been a mission-based program designed to address workforce shortages in Colorado’s most vulnerable communities. CPR supports employers, like you, in finding the ideal healthcare provider for your open position for the long-term. Our staff works with providers looking for a rural/underserved experience. We understand rural life is not for everyone and that lifestyle is as important as a clinical match. Our efforts have led to over 180 provider placements in Colorado with a five-year retention rate consistently higher than the national average. Unlimited Job Postings – on 3RNet, the nation’s premier rural provider recruitment association which serves as a job board for providers and other health professionals specifically interested in rural and underserved job opportunities. Throughout recruitment, CPR provides you with information or assistance, as needed, including assistance with development of recruitment and retention plans, assistance building job descriptions, evaluation of state and national loan repayment eligibility, regional and statewide workforce data, J-1 Visa waiver program regulations and much more. We look forward to supporting you in your efforts to recruit and retain providers and staff. Questions? Contact Sara Leahy, Director of Business Development, at cpr@coruralhealth.org / 303-407-2031. Colorado is excited to offer loan repayment programs for eligible healthcare providers! These programs are available for your clinic to be a part of at no cost if you meet the eligibility requirements. They offer an additional, valuable incentive for providers to work at your clinic, and they can help retain your current health care providers! Click the link below to learn about eligibility requirements and how to apply to be an approved loan repayment site. International Medical Graduates (IMGs) comprise a large percentage of the pool of physicians available and are a great resource for filling a vacancy in a rural community. Colorado supports the J-1 Visa waiver program by allowing up to 30 J-1 Visa physicians to practice in rural or urban underserved communities across the state. Colorado’s Primary Care office will walk you through the process of employing a J-1 Visa physician. 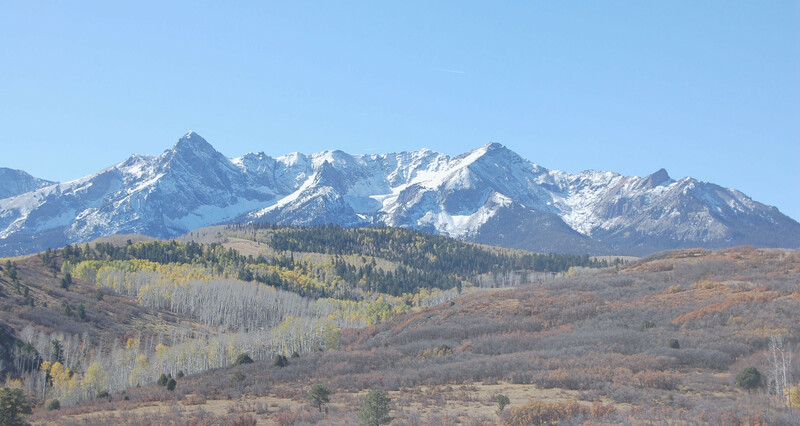 To find out more general information about the J-1 Visa waiver program in Colorado, click here. These videos are available to facilities subscribed to CPR services. CPR houses rural workforce data available for distribution that can help inform your recruitment and retention efforts. This service is available to facilities subscribed to CPR services. The manual is available to facilities subscribed to CPR services. This guidebook, developed by 3RNet and based on research from the renowned Community APGAR program, helps you identify and communicate your community’s strengths to candidates during the recruitment process, and invest in challenges to retain them once you’ve hired them. The guidebook is available to facilities subscribed to CPR services. CPR distributes quarterly technical assistance videos for healthcare facilities to share with their current providers. These videos provide valuable, current information on programs that provide additional incentives to providers that may help retain them. The annual 3RNet Recruitment for Retention Academy is a series of workshop-style webinars to help healthcare facilities recruit and retain providers for the long term. Visit the 3RNet Academy website for more info. For a limited time only! The Center for Creative Leadership, in partnership with the Colorado Rural Health Center, offers a robust leadership and policy/advocacy training program for primary care medical and dental providers working in rural areas. The Rural Colorado Primary Care Leaders Program Scholarship application is now open and will close on May 7th. Visit the program page for more information and the application. Full scholarships for this program are available to healthcare facilities that are members of CRHC. Members of Colorado Rural Health Center have access to discounted rates for locum tenens providers through a special group purchasing partnership. Contact Ashley Mills for more details at amm@coruralhealth.org / 303-407-2031.